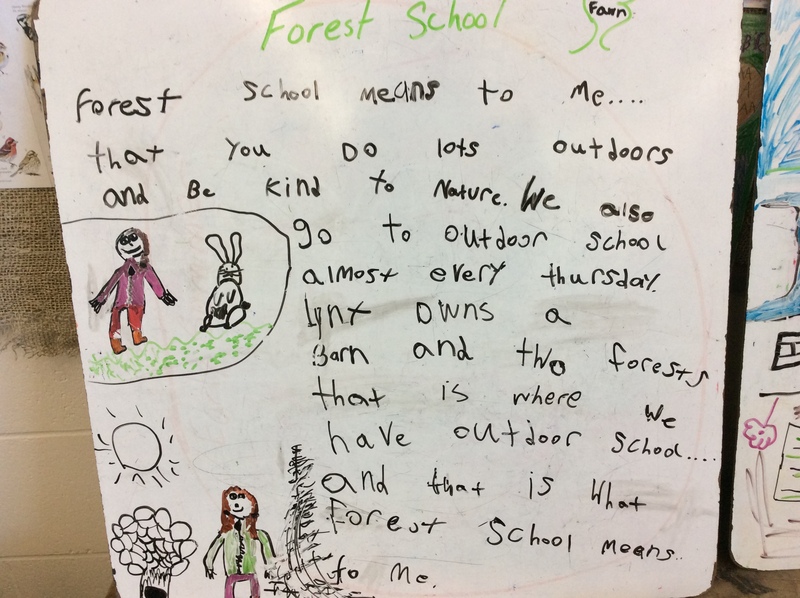 I want to be a student in this class… was how I ended the first blog post I wrote about my day at Outdoor School with Kendra Martin and her Grade 2s. And in 2 years that hasn’t changed. Kendra Martin is a teacher at Little Falls PS in St Marys who has been blazing trail to introduce a Forest School and Outdoor School program to other schools across AMDSB and throughout Ontario. 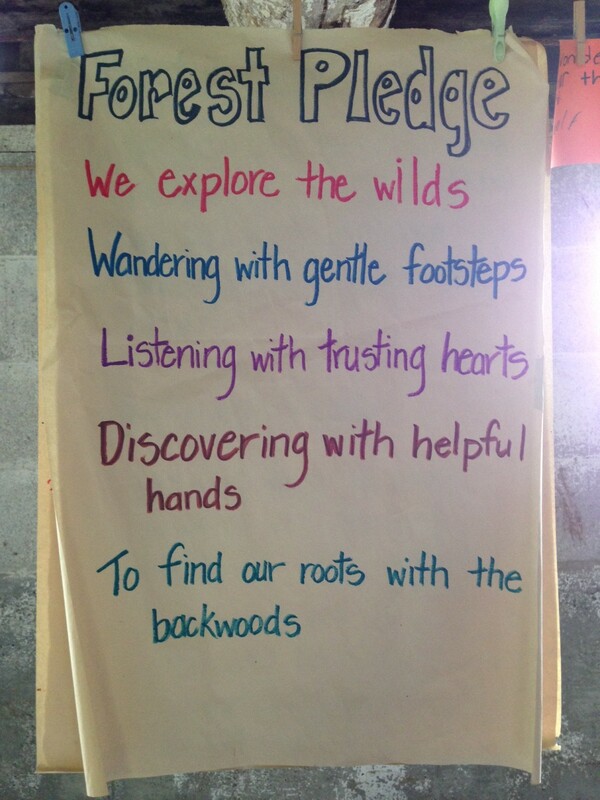 Forest School is the umbrella program which incorporates daily immersion in nature and core routines to provide a grounding in nature literacy. Forest School educators make sure students have opportunities to return to the same natural spaces throughout the seasons. They have a place called Outdoor School which they take a bus to one day per week to enrich the learning of their students, connecting them with a more biodiverse area and involving a Nature Educator to co-facilitate the experience. Forest School has changed my teaching practice and opened a whole new world to my students. I finally discovered a foundation for learning that is so elemental to all children that everyone gets connected. Nature is that foundation. It touches every child in a different way and no matter how reluctant some are at the start, all jump on board in this journey of discovery. Each season provides new subject matter. As my nature literacy grows, I am able to widen the lens of learning for my students. My students now show their understanding in unique ways, they problem solve, persevere, take care of each other and themselves in all weather -they have are resilient! Each year has been better than the last as I allow Nature to guide my practice. Over the years Kendra has developed programs for students in grades 2-6 that integrate the curriculum in all subject areas so they can be taught outdoors. Watching the students explore the curriculum outside is an incredibly powerful experience. We have such a natural strong connection to nature, doesn’t it just make sense that students would be engaged in their outdoor classroom and feel more connected to their learning? And while they are exploring their natural environment, they are learning math, science, social studies, art… and skills for life. When Kendra and I had time to chat we exchanged ideas about how to integrate technology to augment, modify and redefine tasks into her outdoor ed program by incorporating opportunities for learning in digital environments to further develop 21st Century Competencies. I am looking forward to continuing these conversations with Kendra. It was inspiring to spend the day with such an innovative educator who is so passionate about teaching, learning, and doing what is best for kids. If you are interested in learning more about Forest School, please contact Kendra Martin by email or leave a comment below! FREE STEM Workshop for Students in Grades 5-8 – Register Now!